Home→Fire Fighters→Why bill insurance providers for fire responses? Why bill insurance providers for fire responses? ISO stands for Insurance Services Office, which is an organization that rates fire departments on their ability to mitigate fires based on equipment, staffing, facilities and the municipal water supply. Insurance companies base premiums on this rating, which ranges from 1 to 10 with a lower rating being better. As an example, Class 3 is a high rating for a fire department and indicates the department is well staffed, equipped and trained. A lesser-known benefit of achieving this rating is a reduction in fire insurance rates for communities, businesses and residential property owners located within the fire department’s response area. Insurance companies recognize that better equipped departments equal lower losses. Many communities raise money for fire response equipment via property taxes, fire dues and fundraising. Additional funding is sometimes needed, however, due to the vast expenses incurred during an actual response. 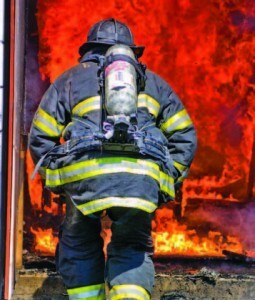 Insurance companies have policy provisions in place to reimburse the costs associated with the fire departments’ mitigation and response to a variety of incident response types, and more and more fire departments are taking advantage of this important revenue stream. Accessing these funds helps departments stay or become better equipped, which translates to higher ratings. These provisions are available to and collectable by the departments that respond to a particular emergency, once a claim has been established. Provision amounts will depend on the type of claim that was established and the individual insurance provider. Some will have a set standard provision rate while others will vary depending on the specific costs incurred and policy limits. Fire claim provisions can range anywhere from $100 to unlimited depending on the insurance company policy terms and the value of the property. Most fire departments accept the policy provision limit as payment in full and choose not to pass any remaining costs onto the homeowner. These fire policy provisions were set up specifically for the reimbursement of fire department expenses, and the concept is far from being new. The practice began in 1700’s Philadelphia, when Ben Franklin formed one of the earliest Fire insurance companies, and it developed into today’s system as the need for insurance companies and fire companies increased. By utilizing “fire marks” on buildings, responding fire companies could determine who the property was insured through. Some of these original fire marks still remain and can be seen on buildings from that era, and yet some fire departments today often either overlook this option or are simply not aware that such policy provisions exist. A department that does not apply for reimbursement from an available policy provision is, in essence, wasting a resource that was set up specifically for its benefit. The provision costs have been built in to the premium in advance, and policyholders have paid for this provision prior to the loss. It makes sense to access a resource designed with the specific intention to reimburse the department’s expenses, while also relieving both the property owner and taxpayers in general from having to shoulder additional fundraising burdens. If property owners and taxpayers were given the choice between allowing pre-paid policy provisions of those experiencing a loss to reimburse fire department service expenses or having local income tax rates or fire dues raised each time the community suffered a fire loss, we all know what they would choose. Recovering costs through existing policy provisions that were created for that exact purpose is a win-win-win situation: the provision is used as it was meant to be, the property owner experiences no out-of-pocket expense and taxpayers and the community are not burdened with increases made necessary to cover the losses of a few. In addition, insurance rates stay lower because insurance companies save money due to lower losses. Why? Because a well-funded fire department has superior mitigation capabilities, which allow for highly efficient responses and lower losses to all parties involved. Ultimately, all involved parties directly and indirectly receive benefits through insurance incident response cost recovery practices. Information provided by Kirsten Cox, Covenant Solutions.